Root rot is a broad term used for when pathogens attack the root system of the plant. Under the right conditions, the pathogen invades at the root system, spreading throughout the root system, and that of other plants in the garden. They eventually choke out the root system which becomes slimy and turns mushy. Plants with root rot will be stunted in growth and production. Plants with root rot will start showing a yellowing and eventual browning of the roots. As the roots decay, they become slimy, tangled and may have an odor. Root rot takes over the plant’s root system. Since the plant cannot take in oxygen or nutrients through a damaged root system, it may show sign of deficiencies. 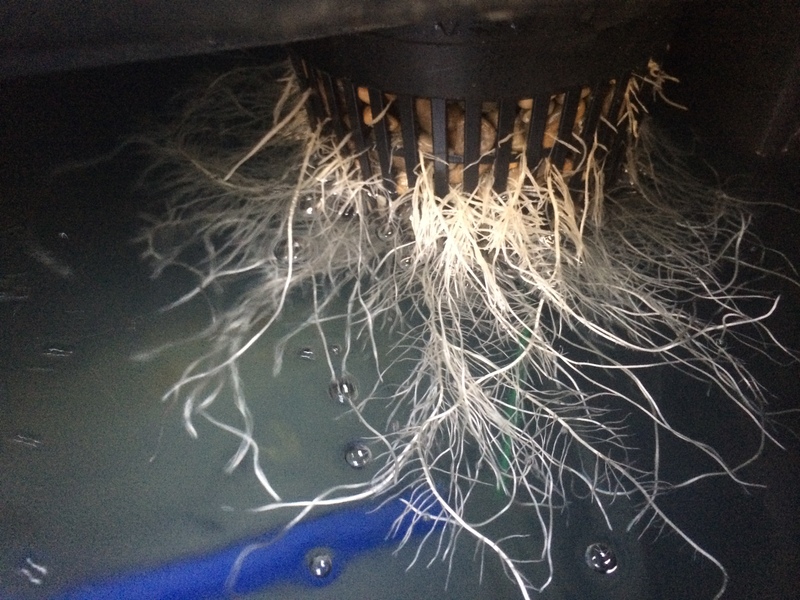 A healthy hydroponic root system should be a white creamy color, especially new growth. Is The Plant Worth Saving? If the problem has gone on too long, and all of the root system is mush, then the plants probably not salvageable. Depending on your situation, it may be easier to just remove the plant and correct the issue that caused the root rot to start. There are times, however, where it is easy and worthwhile to try to save an individual plant. A couple of years ago I had issues with a tomato plant I had in a 5 gallon hydroponic bucket. The air pump was not forcing enough air out of the air stone, that in combination with the hot temperatures we were having led to a case of root rot. It was my only tomato plant and a single plant system so to me it was worth saving. To have a chance at saving a plant with root rot, you have to take action early. Here are the steps I took to saving that tomato plant from root rot. 1. Shut down your hydroponic system . Remove the plant from the system. This is easier if they are in net pots. 2. 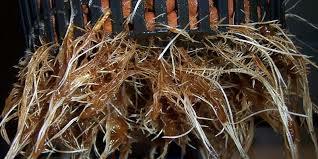 Run the roots under water to get rid of dead roots and debris. Take a clean pair of scissors and cut back the remaining roots infected with root rot. 3. Drain the nutrient solution from your reservoir. If it’s a single plant system take it apart and sterilize it. If it’s a multi-plant system clean what you can without affecting the rest of the garden. 4. The next step is to get your system back up and running. Put your hydroponic system back together and add your nutrient solution. I would recommend adding beneficial bacteria, like Hydrogaurd, if you’re not already using some in your regimen. 5. If it’s a large plant, cut back some of the leaves so the plant doesn’t have to support as much growth. The plant can then focus on rebuilding its root system. Keep the nutrient solution around 70 degrees and the air pump on all the time. Root rot is caused by a quick-spreading pathogen that can greatly reduce plants growth and harvest at the least. It can be contained from spreading to other plants and sometimes plants can be saved. Root rot is preventable if precautions are taken to maintain a clean working environment and optimal growing conditions are kept. My strawberries developed root rot. I think that this was because my system was standing still for a number of hours due to the electrical problem here. I did not realise how sensitive the roots are. I closed down my whole system – this has been for about 6 weeks. I want to restart with strawberry plants that I have nurtured from runners using water and a pinch of Nutrifeed – Strake Ayres. Do I have to sterilize the whole system? if so how do I do that?